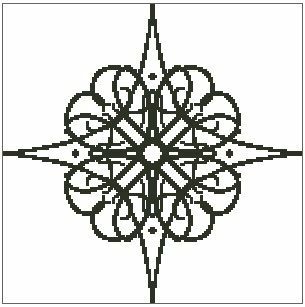 Adapted for charting by Chele Cooke, Barbed Star is an outline/repetitive pattern chart measuring 150 stitches wide by 150 stitches high and, it has been designed for you to use whatever colours you choose. 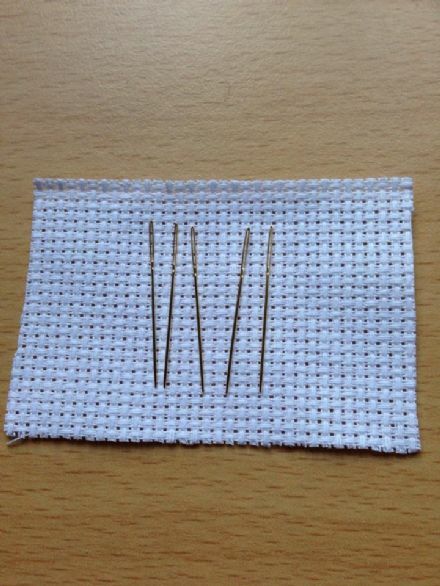 If stitched as charted all in one colour, it is estimated that you may need 2 skeins of thread to complete it. 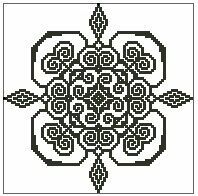 This pattern is perfect for hand dyed fabric and thread. This chart has been created using a copyright free image from Pixabay.